9 nights - 8 days independent walking moving between guest houses. 9 nights accommodation in several charming small guest houses and hotels in double or twin rooms with own bathrooms. A variety of styles with good hospitality and comfortable accommodation throughout. 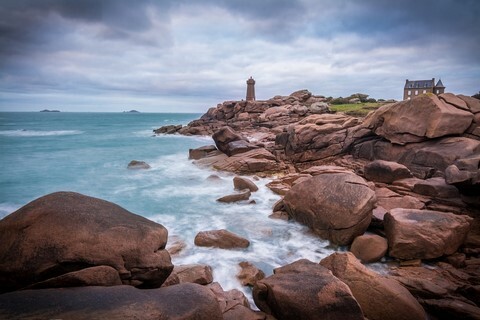 Brittany's Cote de Granit Rose or Pink Granite Coast, part of the Cotes d'Armor, so-called because of the colour of its rocks, is not only one of the most beautiful stretches of Brittany’s coastline, but one of the most lovely and dramatic stretches of coast in Europe. 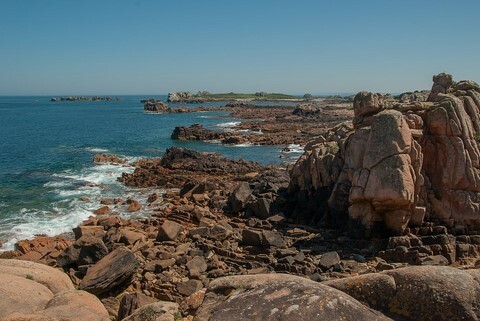 The area is renowned for its unusual rock formations, the most dramatic of which can be found on the coastal path between Perros-Guirec and the port of Ploumanac’h. 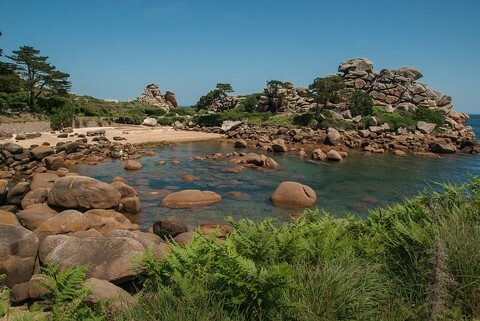 The GR34 or sentier de douaniers, a former coastguard footpath, winds among fantastically shaped rocks that have been weathered by centuries of wind and tide, interspersed with countless rock pools, sandy coves and stunning views and seascapes. In addition, other sections of coast have wild cliffs and peninsulas, dramatic estuaries and pretty fishing ports. The undulating hills behind the coast are covered with pine trees, gorse, heather and wild flowers whilst in front are a myriad of off-shore islands some of which can be walked to at low tide. The area is also peppered with picturesque villages, medieval religious monuments and prehistoric standing stones and burial mounds. 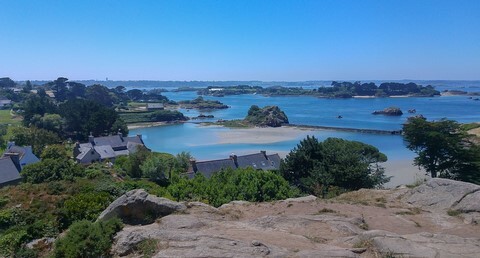 Our 8-day self-guided walking holiday which starts at the pretty town of Treguier and finishes at Morlaix can also be booked as two separate holidays with 4 walkings days each. See more information about Brittany. On this independent walking holiday in Brittany you have 8 walks moving between guest houses, averaging about 20km with ascents between 50m and 500m in a day. The days vary between gentle walking and harder days with more climbs and descents. Paths are generally good and it follows a well way-marked GR trail for the most part. Some small sections are stony, muddy and steep. Arrive in Treguier. Transfer from Lannion if required (see travel options). Explore the small historic town of Treguier, which has a splendid cathedral, a pretty waterside harbour, where you’ll find a selection of restaurants and cafes, and streets with half-timbered houses dating from the 15th century. 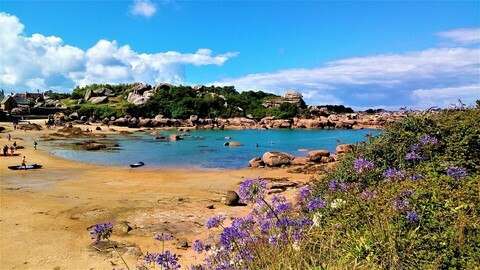 After a short transfer to Trebeurden, the scenery changes dramatically as you go up and down high cliffs to reach Pointe de Beg Leguer and Pointe Servel at 60m above the sea with great views over Lannion Bay before you follow the narrow Leguer Estuary to Lannion. Highlights along the route include the Vallee de Gaos Lagorn and the views from the Pointe Servel. The estuary walk eventually leads you down to the tow path beside the river and into the town of Lannion. 16km, +250m. If you wish to undertake the walk in two parts your first holiday ends here and your second holiday starts here. A mixture of styles throughout your Brittany walking holiday with B&Bs, small and friendly guest houses and family run hotels. Good hospitality and comfortable accommodation throughout your stay with ensuite rooms. Tasty regional cuisine. Below you'll find examples of the different types of accommodation we use. Hotel Le St Yves Hotel Located at the foot of the Cathedral Saint Tugdual in Treguier, this small hotel with 8 beautiful rooms, has a terrace with views of the garden and an on-site bar. 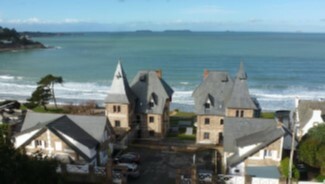 Hotel Ker Mor Hotel The hotel has direct access to the Trestraou beach in Perros Guirec and its restaurant has panoramic ocean views. Make your own way to your first guest house in Treguier or a transfer can be provided from Lannion if required. 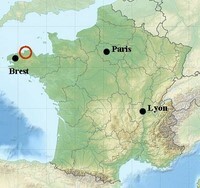 The nearest ferry Brittany Ferries port is Roscoff. Brittany Ferries run services from Plymouth to Roscoff. Further afield there are also ferries from Portsmouth to St Malo in Brittany whilst Condor Ferries run from Weymouth and Poole to St Malo. From Roscoff you can catch a train to Morlaix and then a regular bus service from Morlaix to Lannion. Transfer from Lannion to Treguier included in holiday price. 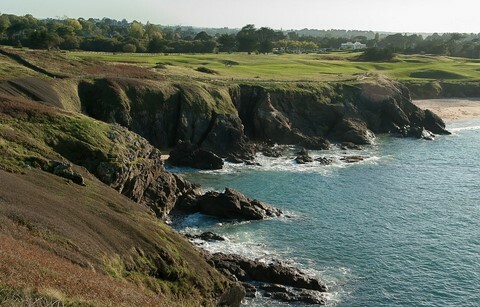 Flights to Brest, then after bus services to join Brest train station and train to Morlaix and bus to Lannion. Transfer from Lannion to Treguier included in holiday price. Flights to Rennes then after heading to Rennes train station, take train to Lannion (towards Brest) changing at St Brieuc. Transfer from Lannion to Treguier included in holiday price. If you have arrived at Roscoff by ferry you can catch a a train to Morlaix and then a regular bus service from Morlaix to Lannion. Transfer from Lannion to Treguier included in holiday price. If you have arrived at Brest airport, take a bus to centre and then train from Brest station to Morlaix and bus to Lannion. Transfer from Lannion to Treguier included in holiday price. If you have arrived at Rennes airport, take a bus to centre and then train from Rennes station to Lannion (towards Brest) changing at St Brieuc. Transfer from Lannion to Treguier included in holiday price. 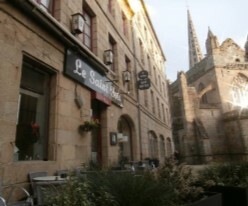 If you are coming from Paris, take direct train to Rennes and then change for trains to St Brieuc. Change for trains towards Brest and alight at Lannion. Transfer from Lannion to Treguier included in holiday price. If you choose to drive to Treguier, then at the end of the holiday in Morlaix take the regular bus service from Morlaix to Lannion. Transfer from Lannion to Treguier included in holiday price. Contact us for information about parking during your walking holiday.